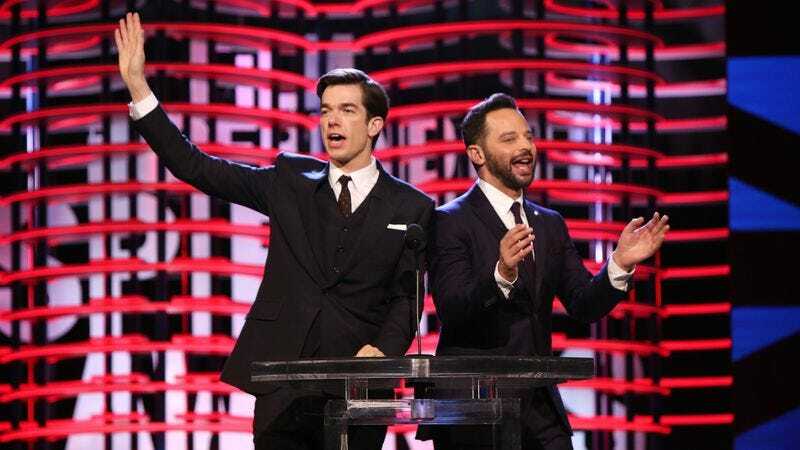 The Oscars weren’t the only awards ceremony this weekend: The Film Independent Spirit Awards were held Saturday morning in Los Angeles, and were hosted by John Mulaney and Nick Kroll. While there were tons of important Spirit Award winners, the best parts of the show, per usual, were the comedy bits, including Kroll and Mulaney’s opening monologue, which lit into everything from Mel Gibson’s anti-Semitic tirades to Samuel L. Jackson’s hats before comparing Donald Trump to The Jinx’s Robert Durst, who Mulaney said is actually more likable than our current president. It’s not the most timely reference, but it’s a good one all the same.